It’s that time of year again! If you’re an Illinois corporation in “good standing” with the state, then it’s time to renew your corporation with Jesse White. This process is completed annually by filing a CDBCAF Corporate Annual Report form. 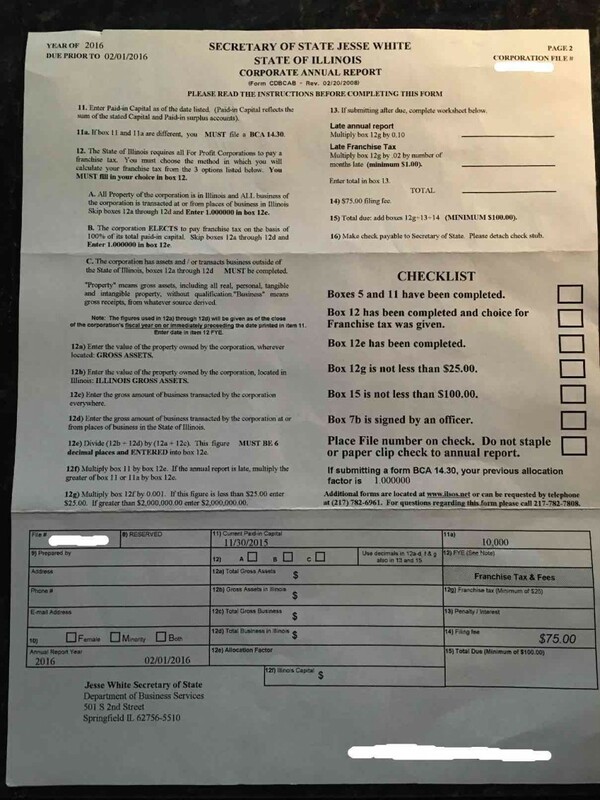 The state will distribute this form to you by mail and by email to your business address listed. The process can be completed by mail or online. Remember, this form must be completed by February 1st. The minimum filing fee with Illinois is $100.00. 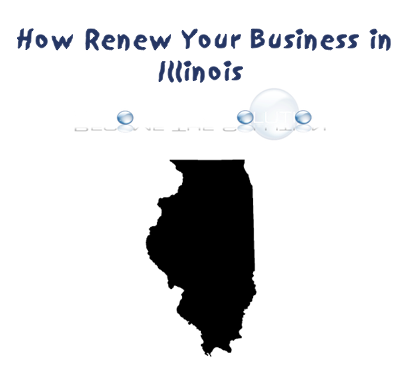 The required Illinois business filling fee is $75.00 and $25.00 is franchise tax. If you are like most Illinois businesses, this is all you will pay. However, if you have paid capital to report then then the form will need to reflect those gains accordingly. Make your payment check out to Illinois Secretary of State. 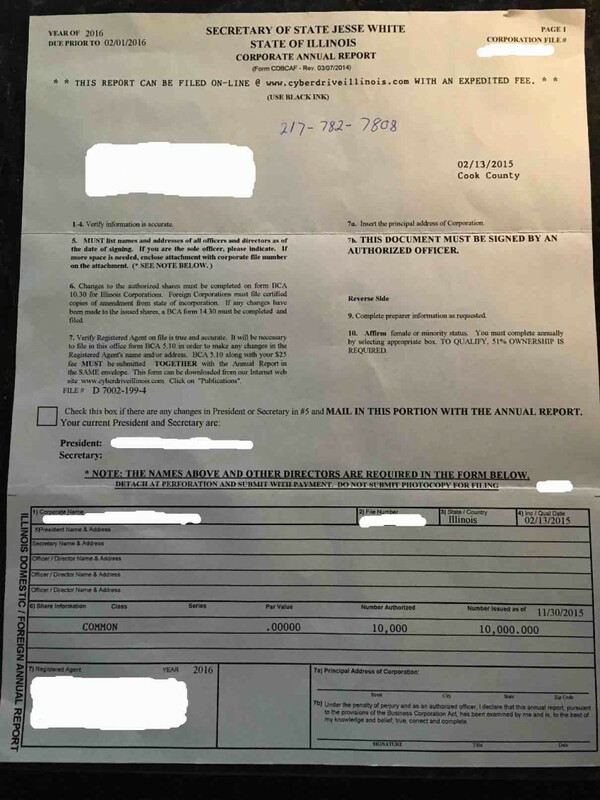 Below is a sample copy of the CDBCAB form that is filled out by a business President and mailed back to Illinois with a filing fee. You will need your Corporation File Number. You can look it up on the same screen if you do not know. The next screen will ask you to confirm your business and reporting agent information. Click continue. You will be asked some more information about your business. At the end of your filing report, you will be able to remit payment and renew. If your registered Agent address has changed since your last annual corporation filing, you will first need to file with the old address. After filing for the new year, you can update this information online at the Corporation Name Change site Cyber Drive area. This fee might be as much as $77.